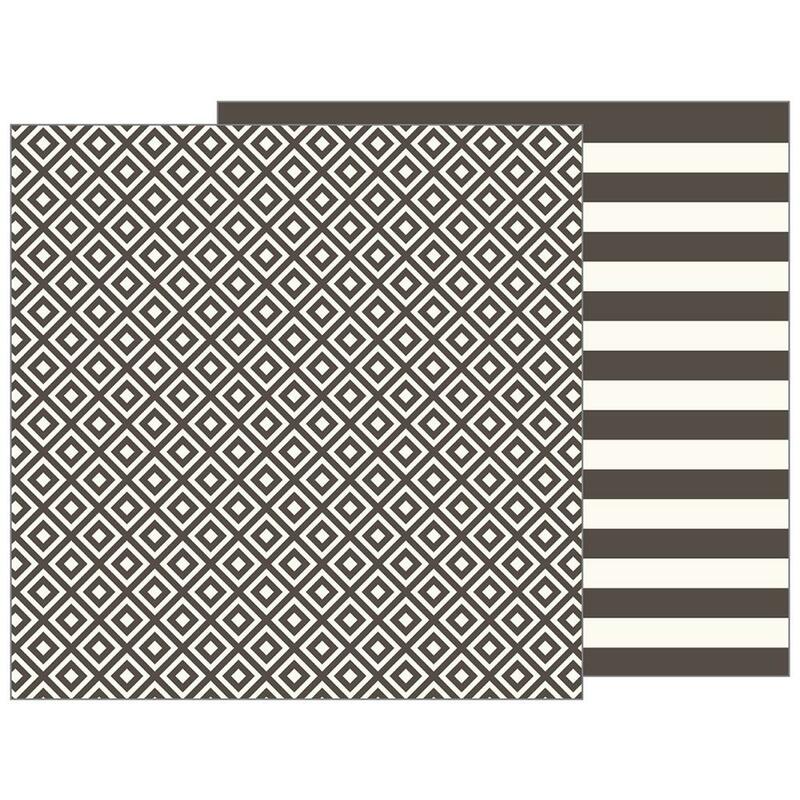 This 12x12 double sided paper has a Greek Pattern in Black & White on the frontside. The reverse side has Bold Black & White Stripes. Part of the Patio Party Collection by Pebbles / Jen Hadfield. Look for coordinating selected Designer Papers, Stickers, Puffy Stickers and Dimensional Flower Stickers.